Koyna Wildlife Sanctuary thrives in a dense, green forest reserve situated in the heart of Satara district of Maharashtra. The protected forest area was declared a Wildlife Sanctuary in the year 1985 by the government of India. It is centered in the Western Ghats with abundant water flow and rich vegetation, proving to be a thriving environment for animals to survive in. The entire sanctuary spans an area of 423 square kilometers and ranges in elevations between 600 meters to 1000 meters of altitude. 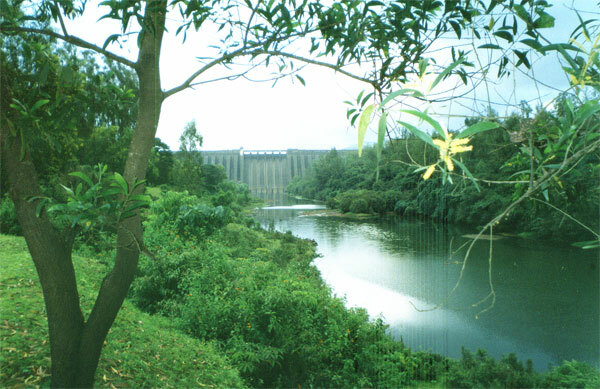 The sanctuary is nourished by several water bodies, amongst which rivers Kandati, Koyna and Solashi are primary water sources. A wide range of fauna have been found in the region and are protected by the government and forest development authority. Some of the most spectacular species found in Koyna Wildlife Sanctuary include Royal Bengal Tiger and King Cobra. In 2012, UNESCO declared Koyna Wildlife Sanctuary as a World Heritage site, considering the number of architectural findings in the area. Koyna Wildlife Sanctuary is situated in a region with tropical monsoon climate, receiving heavy rains during monsoons. It is common for thunderstorms to occur during rainy weather. The insect population thrives during this time of the year along with the flora, which gets a chance to rejuvenate each monsoon. Summers continue from the month of March till the month of June. During May, the temperatures rise drastically, making the climate hot and dry. Most animals are seen near water bodies during this time of the year. Winters are cool with the lowest temperatures seen during the months of December and January. Ideally the monsoon months between June and August are ideal for tourists to venture into the forests as the temperature is average and climatic conditions are stable. Heavy showers may be experienced durin these months but the observable density of the forest makes it worthwhile. October is the most stable time of the year as the weather is most predictable and pleasant to take trips during. November till March see the most amount of tourism in the year and are not ideal if one prefers to experience nature in exclusivity. The Sanctuary is open between 7:00am to 6:00pm for visitors. 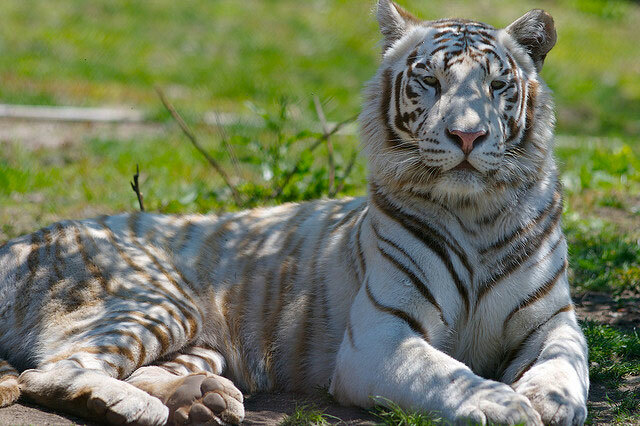 There is a wide variety of wild animals to explore inside the vicinity of the sanctuary. Some of the astounding examples of the Sanctuary’s flourishing Fauna are enlisted below. Indian leopards, Bengal tigers, Indian bison, Sambar deer, sloth bears, mouse deer, barking deer, common Gray langurs, Indian Giant Squirrels and Smooth-coated otters. Airport connectivity to the park is good with the nearest airport located in Kolhapur at a range of 65 kilometers with connectivity to all major cities. Other options are Pune, which is 181 kilometers from the Sanctuary and Mumbai, which is 250 kilometers away by road. Mumbai airport has connectivity with all major countries around the world. The nearest railway station to the Sanctuary is located at Kolhapur, from where Taxi or bus can be availed till the park. There are train stations around small towns all around the area as well. The Sanctuary is well connected by road and has the Kolhapur-Deogarh Highway passing through it. Forest guest houses can be availed around the perimeter of the sanctuary. Other resorts are also available with lake-side views and regular meals. Rooms can be rented within variable price ranges and are cheap as well as well kept. We are two people, want to visit the Koyna sanctuary on 26th march. Let us know the process for it! We have already booked our stay in Mahableshwar. But as we are wildlife lover, we want to visit the sanctuary..!! Please help us out..! Did you receive any update on your query?If so, can you please share it ? Can you please provide me the contact details of forest department? Excellent. Do let us know how to get there by railway from Mumbai. Also the time to reach the place. What formalities are required if we want to visit the place. Hi! I wanted to know the entry fee for Koyna Wildlife Sanctuary. I have been planning to visit it soon and it is nowhere mentioned. We are 3 people and want to visit the Koyna sanctuary on 23rd November. Let us know the process for it. We want a package we are 6 adults. We are planning to visit wildlife sanctuary for safari by 30 December so can you please help me out in getting cars for safari and timings? We are group of 8 persons wish to visit but not able to get any contact details to book safari rides.